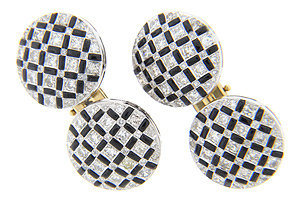 These spectacular 14K gold estate cufflinks feature glittering diamonds set in an onyx matrix. 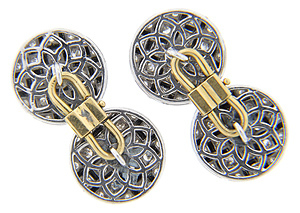 The round portions of the cufflinks are crafted of white gold while the links connecting the two halves are made of yellow gold. 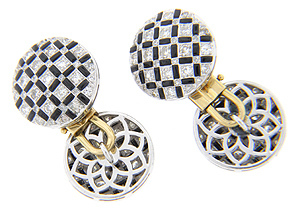 Both halves of each cufflink are the same and measure 3/4" in diameter. Circa: 1980.